Maximize every powerful feature available in MySQL 5.1 with hands-on instruction from a MySQL expert. This definitive guide shows you how to use MySQL's advanced suite of data management tools, optimize performance and reliability, and secure and administer a robust RDBMS. 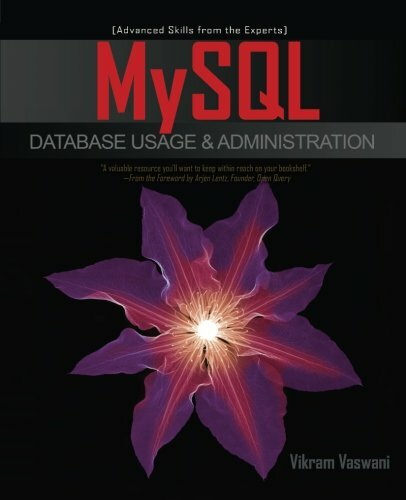 MySQL Database Usage & Administration includes detailed code examples in each chapter to highlight real-world applications of the material covered. If you want to get the most out of MySQL, you need this practical handbook. Vikram Vaswani is the founder and CEO of Melonfire (www.melonfire.com), a consultancy firm with special expertise in open-source tools and technologies. His previous books include MySQL: The Complete Reference, PHP: A Beginner's Guide, and PHP Programming Solutions.